The aim of this study is to increase understanding of folk music within an historical, European framework, and to show the genre as a dynamic and changing art form. The book addresses a plethora of questions through its detailed examination of a wide range of music from vastly different national and cultural identities. 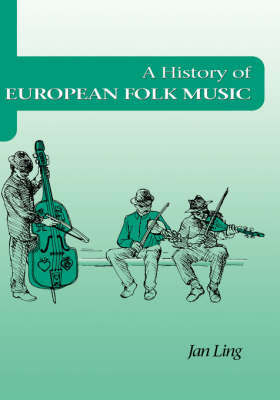 It attempts to elucidate the connections between, and the varying development of, the music of peoples throughout Europe, firstly by examining the ways in which scholars of different ideological and artistic ambitions have collected, studied and performed folk music, then by investigating the relationship between folk and popular music. Jan Ling is Professor of Musicology at Goeteborg University, Sweden.